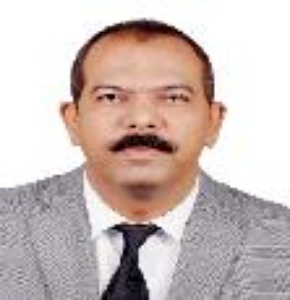 Mr. Prasad Patki - Currently designated as the Founder, CEO and Chief Mentor of the Organization Mr. Prasad Patki have around 20 Years of exposure in the field of Marketing, Recovery & Asset Disposal across various sectors viz. Pharma & Allied Industries. Out of 20 Years Mr. Prasad Patki has around 7 Years of experience in the field of Interiors & Turnkey Project Execution. Among his past projects which he had executed the same comprises of Corporate Offices, Residential Units, Restaurants, Retail Spaces, & Hospital. More than a creative leader Mr. Prasad Patki is our motivator in chief, guiding us to excellence with every project. Shreya Innova our Company is an Interior Designing, Turnkey Interior Project Executioner and Project Management Company (PMC). Also we are in the field of Commercial Space Leasing. Shreya Innova provides conceptualize drawing & design along with execution for Corporate Offices, Residential Dwellings, Hotels which include complete layout of space & utilization of furniture, fixtures electrical fit outs, placement of buyout material & related requirements. We undertake & Execute Turnkey Interior Projects for Commercial Establishment like Corporate Offices, Banks & NBFCs, Shopping Malls, Residential Units, Hotels, Hospitals of any quantum in Mumbai Region, Maharashtra, Goa, Gujarat and other cities. We provide services as per the Drawing & Designs provided by the Architect & up to the mark satisfaction of Client in the given time frame. We have an In-house team of Architects, Interior Designers, Project Managers, Supervisors & Experienced Contracting Team in the field of Civil, False Ceiling, Electrical, Air- Conditioning, Internal Partitions, Cladding, Furniture & related scope of Interiors for Turnkey Projects. Shreya Innova also provide services in the area of Corporate Leasing and Built to Suit Corporate Projects right from locating the suitable space till completion of total fit outs. We have executed Commercial Projects, Residential Projects, Retail Projects & also a Hospital Project. Execution of Turnkey Projects with Reference to Commercial, Residential, Retail Projects. Any Service can be provided at Locations. Currently we can execute work at Mumbai, Rest of Maharashtra, Goa, Gujarat, Hyderabad, Bangalore & Chennai locations. Specific Achievements which has been achieved related to timely completion of work of the projects executed & also providing clients with service to the fullest satisfaction.